Results for category "Get on Board"
Effective August 1, 2017, Xpress route 408 will begin and end at Chamblee MARTA Station instead of Doraville MARTA Station. 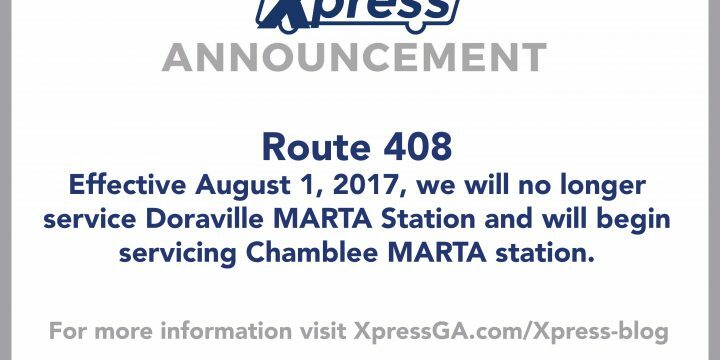 Xpress is removing the Doraville MARTA station because our buses are unable to pull into the station. We apologize for any inconvenience and appreciate your continued ridership. View your new route information on the Route 408 page. Stay up-to-date with current information at Twitter and Facebook. 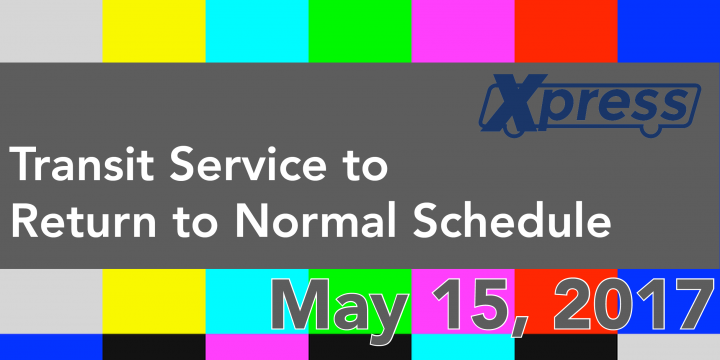 After two months of hard work from our partners at Georgia Department of Transportation (GDOT) rebuilding the collapsed portion of I-85, we are excited to announce all Xpress routes will be back to normal schedules on May 15, 2017. We appreciate your patience during the bridge reconstruction project and the adjustments to our schedules. With the return to the new schedule, we will be discontinuing the temporary direct service to and from Chamblee and Doraville MARTA Station that had been added. Don’t remember your schedule? For any questions about your commute please contact our Customer Service by phone or email through the contact us link on the website. Stay updated with Xpress at XpressGA on Facebook and Twitter. 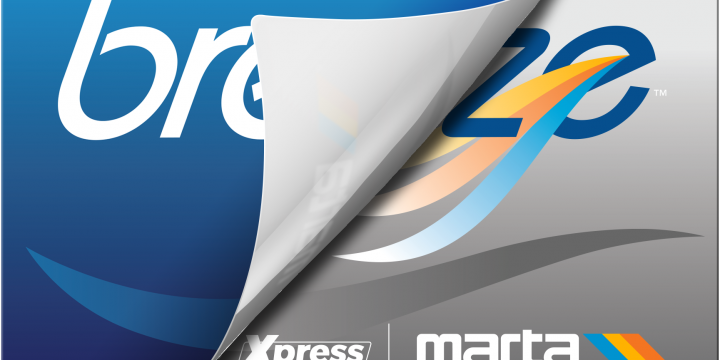 Transportation Transformed: Xpress Gets a Makeover! See Xpress like you have never seen it before. USB ports to charge your devices. 120-volt power outlets to plug in your laptop and charge your phone. New floor-coverings, seat cushions and seat coverings to enhance your comfort and make your ride even more relaxing and enjoyable. High-definition cameras to keep riders safe and secure. Our new Xpress buses now have a more modernized feel with a brand new paint job. You can see the sleek, silver design, which displays our new logo, gleaming from a mile away. To ensure customers’ safety, each bus has received automotive renovations as well. Our newly refurbished fleet has already began hitting the streets, so if you haven’t experienced the new Xpress, it won’t be long. Ride with Xpress to take advantage of the advanced design and innovative features. 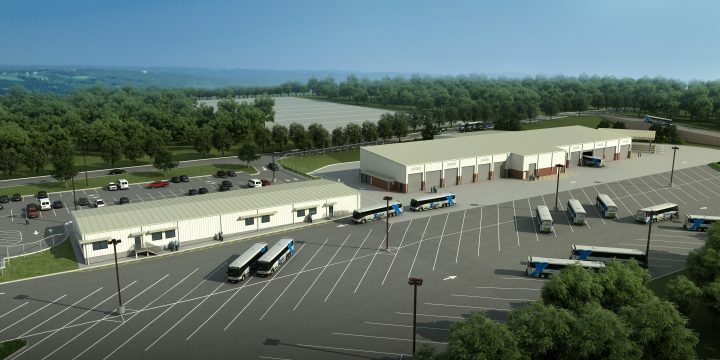 Get ready for your transportation to be transformed! 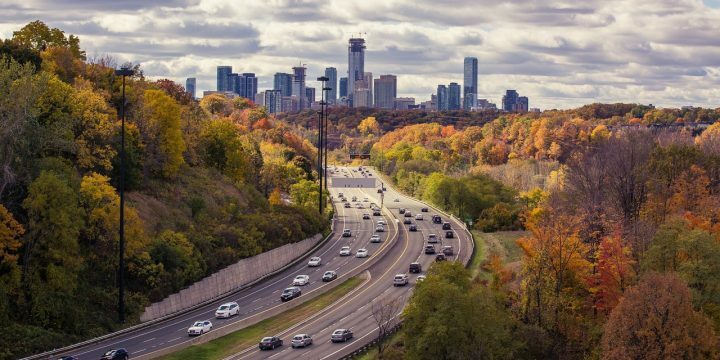 It’s our goal to offer you the most efficient and well-appointed form of commuter transportation, and we’re confident that you’re going to enjoy your new Xpress experience. 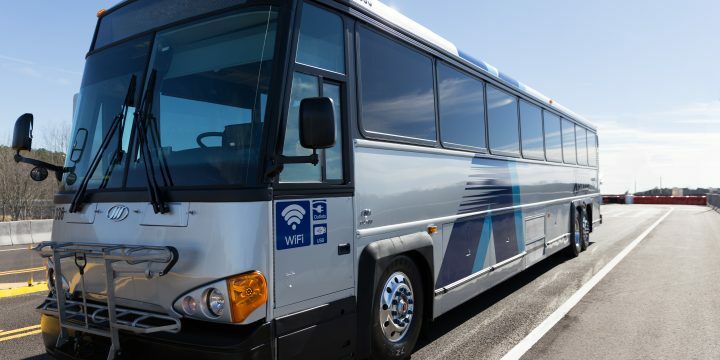 We’d love to hear what you think of the updated Xpress coach fleet, so please send us your feedback.